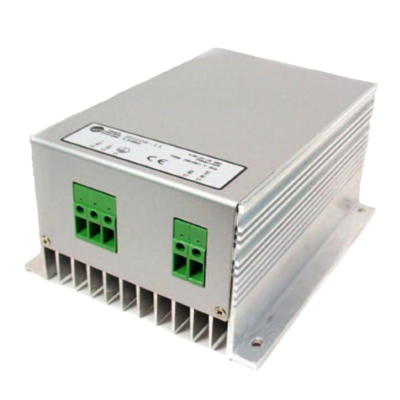 The SD series is a range of switch-mode DC/DC converters. These converters are dedicated to the supply of electric and electronic equipment. They guarantee the quality of the output voltage and ensure isolation. They can operate as battery chargers. Thanks to their input voltage range, they offer the possibility to connect directly on the banks of a battery. Their dimensions and weight allow easy maintenance. They are available in a power range 25 to 200 W.
Power 500W and 1000W upon request.